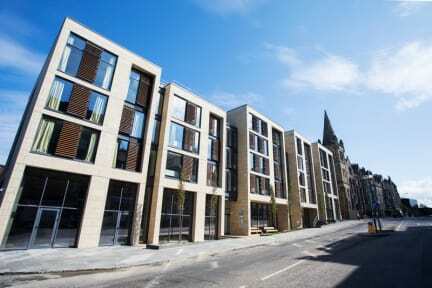 Salisbury Court is in an ideal location amidst the popular festival hub of Edinburgh. Many of the rooms have amazing views of the stunning Arthur’s seat and Holy-rood Park, as well as being close to the historic Royal Mile and a short walk from many festival venues.There is also a variety of local convenience stores, restaurants, bars and take always. 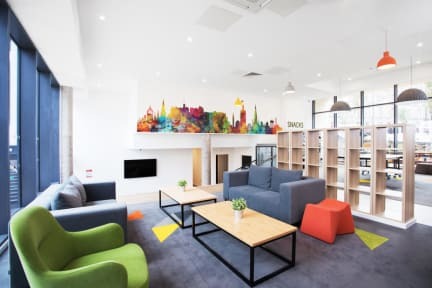 This 580 bedroom property has a variety of apartments from studios which can cater to individuals or couples, to 10 bedroom apartments perfect for groups. Our property has a landscaped garden to the rear, bike storage, common room and laundry facilities as well as secure door entry and CCTV. All areas of the property are covered WiFi is available throughout the building.Visit Edinburgh in style with us. Salisbury Court unique location close to the famous Arthur's seat hill and The Meadows park. Short walk you can find many festival venues and visitors attractions such as Dynamic Earth ( 1 km), the Royal Mile and Edinburgh Castle. Also located nearby of many bus routes offering access across the city. The property has three main room types:classic en-suite bedrooms located in apartments with up to 10 private bedrooms, studio and twin apartments. All rooms have a desk with a chair, under-bed storage, drawers, shelving and wardrobe space,Kitchen with cooking utensils, plates and glassware. En-suite facilities include a sink, toilet and shower unit.Bedding and towels are provided and changed on a weekly basis for long-stay guests.Each bedroom is private and lockable with one small double bed and en-suite faculties.